What’s in it for me? Get long-lost advice from a classic self-help author. 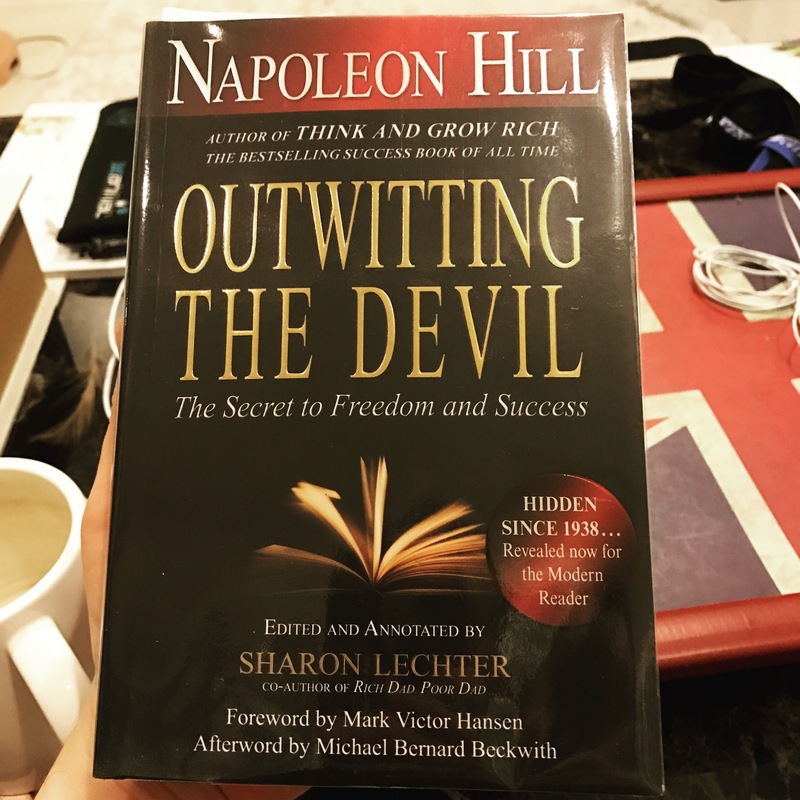 Outwitting The Devil Summary – Napoleon Hill was a much-needed voice of positivity during the dark days of the Great Depression. But that voice was once stifled. Though written in 1938, Outwitting the Devil wasn’t published until 2011 because Hill had some controversial thoughts about churches and schools, which, to his mind, discouraged individuality and kept people in a stifling web of fear. So here we are 70 years later, and Hill’s book is finally seeing the light of day. In some ways, this narrative is very much in line with Hill’s belief in perseverance and resisting the urge to give up. As you’ll see, the advice here is centered around the power of positive thinking, finding the silver lining of every temporary setback and surrounding yourself with good influences. what a jockey can teach us about perseverance. Being led by fear rather than faith is a primary cause of failure. Is there a dream you’ve held onto for years but have been afraid to pursue? There probably is, since, in the author’s estimation, 98 percent of us are letting our minds be controlled by fear. As a result, we tend to drift through life without thinking for ourselves or following our own desires. The fear that causes us to drift is instilled early on. First, there are the churches that teach children to beware of the insidious “Devil.” Then there are the schools that offer very little preparation for children to be individuals in the real world and focus instead on having students memorize endless facts and figures. The author, Napoleon Hill, learned firsthand about this overwhelming fear and lack of individuality while working toward his life goal: creating the first philosophy of individual achievement. For years, he’d interviewed people about their successes and failures, but his notes were starting to become aimless, and they certainly didn’t add up to a concrete philosophy. He was stuck and his mind was fogged with fear and indecision. Then, one day, he had an epiphany. While out walking and taking in some much-needed fresh air, he was suddenly confronted by a voice that felt like his “other self” talking to him. The voice was commanding, and it told Hill that he could finish his manuscript on the philosophy of individual achievement; all he had to do was stop giving in to fear and doubt. Hill came to believe that this voice represented something we all possess. He calls it Infinite Intelligence – an abundance of faith and positive energy that we can always tap into as long as we keep doubt, fear and worry from our mind. Thanks to this voice, Hill was able to push his fear aside, put in the necessary work and finish his book. As a result, Hill became the first great writer of the self-help genre, and his work continues to be read worldwide. In other words, Hill became a non-drifter, which is someone who knows that the key to success is becoming the master of your own mind. Getting what you want from life takes positive thinking and a clear purpose. Hill’s breakthrough came, in part, because he had a very clear goal in life. If you want to increase your chances of success, you’ll have to find a life goal of your own. Indeed, identifying your goal is all-important, since a person’s success often hinges on whether or not he knows what he wants. Now, this work can’t be done for you; neither school nor church can determine your path in life. So it’s lucky that you (and everyone else on Earth) has an invaluable privilege. We’re all self-determining.